Located east of Ontario, Ottawa is the capital of Canada. The city is located on the Ottawa River. 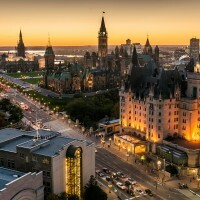 Ottawa is known as a favorite destination for arts and culture lovers; The National Gallery of Canada, the National Arts Center and Canada's Sciences and Technology Museum. Fans of music and entertainment can attend the Ottawa Jazz Festival from June 22 to July 2, 2017, City-Folk Festival or Canadian Tulip Festival. Billets.com will make it possible for you to attend all arts and cultural events in Ottawa thanks to its ticket office.